Theodora (Greek: Θεοδώρα; c. 500 – 28 June 548) was empress of the Byzantine Empire and the wife of Emperor Justinian I. She was one of the most influential and powerful of the Byzantine empresses. 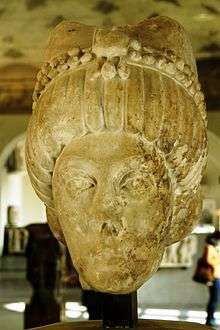 Some sources mention her as empress regnant with Justinian I as her co-regent. Along with her husband, she is a saint in the Eastern Orthodox Church, commemorated on November 14. The main historical sources for her life are the works of her contemporary Procopius, scribe for General Belisarius. The historian offered three contradictory portrayals of the Empress. The Wars of Justinian, largely completed in 545, paints a picture of a courageous and influential empress who saved the throne for Justinian. Her determined speech convinced them all, including Justinian himself, who had been preparing to run. As a result, Justinian ordered his loyal troops, led by the officers, Belisarius and Mundus, to attack the demonstrators in the hippodrome, killing (according to Procopius) over 30,000 rebels. Despite his claims that he was unwillingly named emperor by the mob, Hypatius was also put to death, apparently at Theodora's insistence. Justinian never forgot that it was Theodora who had saved his throne. 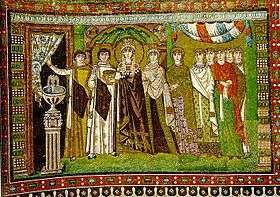 Theodora worked against her husband's support of Chalcedonian Christianity in the ongoing struggle for the predominance of each faction. As a result, she was accused of fostering heresy and thus undermined the unity of Christendom. 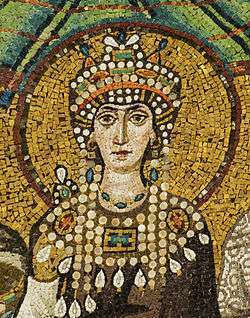 In spite of Justinian being Chalcedonian, Theodora founded a Monophysite monastery in Sykae and provided shelter in the palace for Monophysite leaders who faced opposition from the majority of Chalcedonian Christians, like Severus and Anthimus. Anthimus had been appointed Patriarch of Constantinople under her influence, and after the excommunication order he was hidden in Theodora's quarters for twelve years, until her death. When the Chalcedonian Patriarch Ephraim provoked a violent revolt in Antioch, eight Monophysite bishops were invited to Constantinople and Theodora welcomed them and housed them in the Hormisdas Palace adjoining the Great Palace, which had been Justinian and Theodora's own dwelling before they became emperor and empress. In Egypt, when Timothy III died, Theodora enlisted the help of Dioscoros, the Augustal Prefect, and Aristomachos the duke of Egypt, to facilitate the enthronement of a disciple of Severus, Theodosius, thereby outmaneuvering her husband, who had intended a Chalcedonian successor as patriarch. But Pope Theodosius I of Alexandria, even with the help of imperial troops, could not hold his ground in Alexandria against Justinian's Chalcedonian followers. When he was exiled by Justinian along with 300 Monophysites to the fortress of Delcus in Thrace, Theodora rescued him and brought him to the Hormisdas Palace. He lived under her protection and, after her death in 548, under Justinian's. 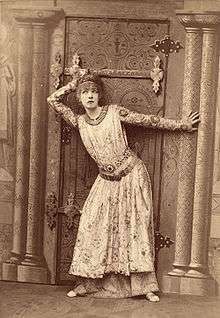 Teodora imperatrice di Bisanzio (Short, 1909) aka Theodora, Empress of Byzantium. Directed by Ernesto Maria Pasquali. 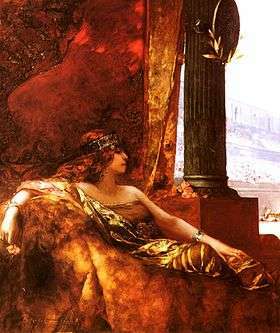 Theodora, A Drama. (1884), a play by Victorien Sardou. Theodora gives missions to Belisarius, the main character in the Last Roman DLC for Total War: Attila. ↑ "Roman Emperors - DIR Theodora". roman-emperors.org. 1 2 Prosopography of the Later Roman Empire, vol. 3, ed. J.Martindale. 1992. 1 2 Garland. Page 13. ↑ Claudine M. Dauphin (1996). "Brothels, Baths and Babes: Prostitution in the Byzantine Holy Land". Classics Ireland. 3: 47 and 72. doi:10.2307/25528291. ↑ "Theodora – Byzantine Empress". About.com. Retrieved 11 April 2008. 1 2 "Breast Cancer". google.com.